Born in Novosibirsk, S. Central Russia, in 1939, Vyacheslav Kupriyanov studied technical sciences in the High Navy School of Leningrad, and earned a degree in mathematical linguistics and German at the Moscow Foreign Language Institute (now Linguistic Univ.). His first published works were translations of German poetry by Hölderlin, Novalis, Rilke, Brecht, Grass, Enzensberger, and others. He also translated English language poetry by Whitman and Sandburg. His own poetry collections include First Person; Life Goes On; Homework; Echo; Poems; The Best Time; and Ode to Time. Notably, his initial book of poetry was the first free-verse collection in postwar Russia. He has published numerous short stories, and a novel, The Shoe of Empedocles. His work has been rendered in at least eight languages, including a poetry collection in English translated by Francis R. Jones, In Anyone’s Tongue, from which these Pangolin House selections have been drawn. In Mandarin, some of his poetry has previously been rendered by Wang Jianzhao. 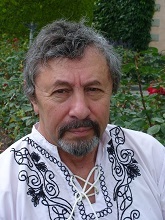 Among Vyacheslav Kupriyanov’s honors are the Südwestfunk-Bestenliste Prize, the Library of European Literature Award, and the Branko-Radicevic Prize. A member of the Moscow Writers’ Union and the Serbian Writers’ Union, he is currently a freelance writer in Moscow. Wu Yin-ching was born in Guangzhou and lived on Cheung Chau Island in Hong Kong until secondary school, continuing her education at Hong Kong Univ. 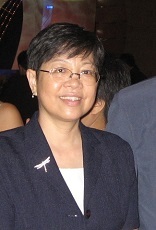 She is a former Associate Professor at Hong Kong Baptist University, where she designed and taught creative writing courses, receiving three President’s Awards for her teaching. Author of nine collections of poetry, twelve of prose, and two of short stories, she has also published six novels for teenagers, and sixteen children’s picture books. Among her poetry collections are Journey at Sunrise; In the Subway; Folded Page; Twilight Voyage; and The Husk of Time. 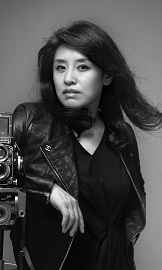 Her honors include three Hong Kong Biennial Awards for literature, a Hong Kong Arts Development Council Award for Achievement in the Literary Arts, two Hong Kong Awards for Creative Writing in Chinese, and two Tang Qing Christian Writing awards. Currently editor of a translation team for an international Christian organization, she lives in Hong Kong. Zhai Yongming, born in Chengdu, Sichuan Province, graduated from the University of Electronic Science and Technology of China, then worked as a physics institute engineer until 1986. She began publishing poetry in 1981. Traveling extensively throughout Europe, she also lived in the US for nearly two years, during which she toured the nation by car. Consistently ranked as one of the most intriguing and challenging contemporary Chinese poets, she’s received numerous awards for her work, including the Zhongkun International Poetry Prize, the Best Ten Women Poets of China Award, the Italian Ceppo Pistoia International Literary Prize, and the Chinese Media Award. Among her many poetry collections are Woman; Above All Roses; The Collected Poems of Zhai Yongming; Call It All; Fourteen Plain Songs; and Interlinear Spaces. Her poetry has been translated into English, French, Dutch, Italian, Spanish, and German. She has also published six collections of essays and literary criticism. Ms. Zhai lives in Chengdu, where she owns and operates the art and literary bar, “White Nights”. Share the post "Winter 2014-15"